Our experienced team have been teaching, guiding and leading fly fishing trips full-time since 1994. They don’t have ‘day jobs’; instead relying on their ability to truly surpass expectations, turning one-off bookings into repeat clients. Our staff are professionally accredited and love what they do. They are available everyday of the year, except for Christmas Day, and can be booked by the hour, half day or full day. Week long trips to New Zealand run every summer, and trips of 10-14 days to Montana run in June-July-August-September. Our team are equally adept at looking after both beginner and expert fly fishers, with all of our guides having extensive local experience, as well as a lot of time in North East Victoria, the Snowy Mountains, Tasmania, New Zealand’s South Island, and the Idaho/Montana/Wyoming region of the USA. 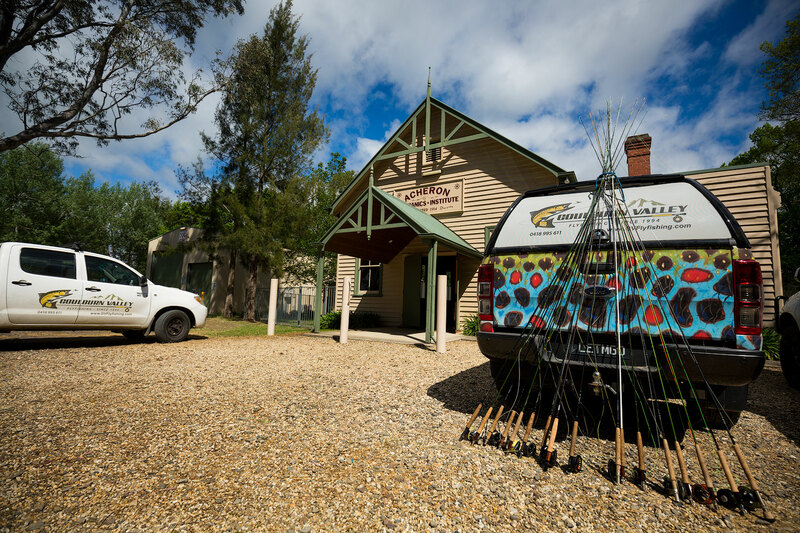 As such our guides are well versed in most forms of fly fishing, and can draw on a huge breadth of knowledge and experience gained over many years of teaching and fishing. Please take a look at our services and feel free to get back to us with any questions that arise. We are always here to help with any of your fly fishing needs. You can reach us on 03 5773 2513 or 0418 995 611 from 8am – 10pm, every day of the week.